Choosing which ship is the best for your family can seem like an impossible task. In years gone by, the challenge was to find a cruise ship which accommodated children. Nowadays, the challenge centres more on wading through the many activities on offer for children and trying to work out which cruise line is the best for your family! With kids’ clubs, family staterooms and family-friendly excursions aplenty, there’s more choice than ever for cruising families. It’s important to note that each ship in a cruise line’s fleet differs. Some ships may be more suitable for families than others. And some family-friendly cruise lines, such as P&O Cruises, have certain ships which are adults-only. 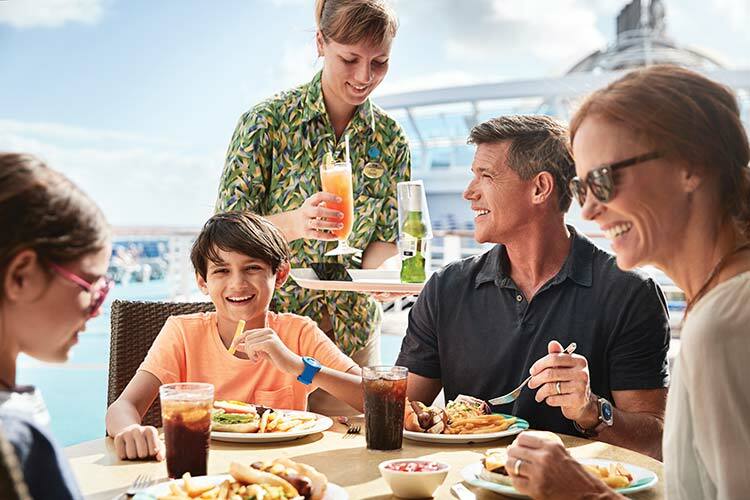 When deciding which cruise line is most-suited to your family, it’s important to consider the age of your children, as a ship which is great for tots, might not be well-suited for teens, and vice versa. On most cruises, babies must be six-months-old to sail. Certain voyages such as transatlantic crossings, the limit is increased to 12 months. 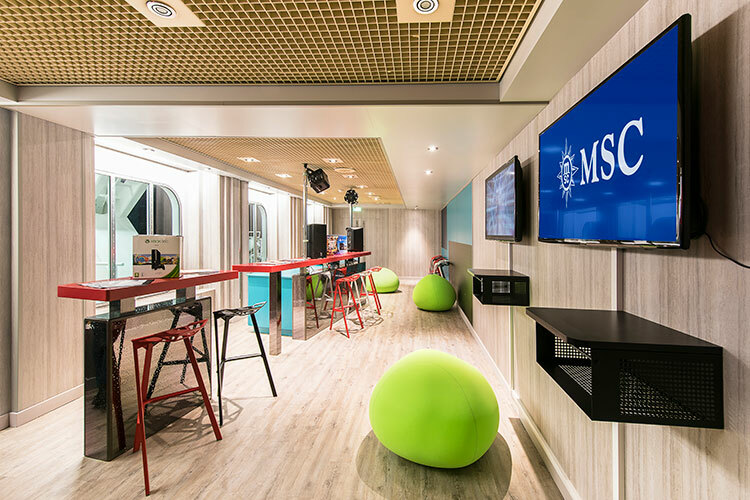 If you have a baby younger than six months, it’s worth noting that MSC Cruises are one of the only cruise lines to have no minimum sailing age. 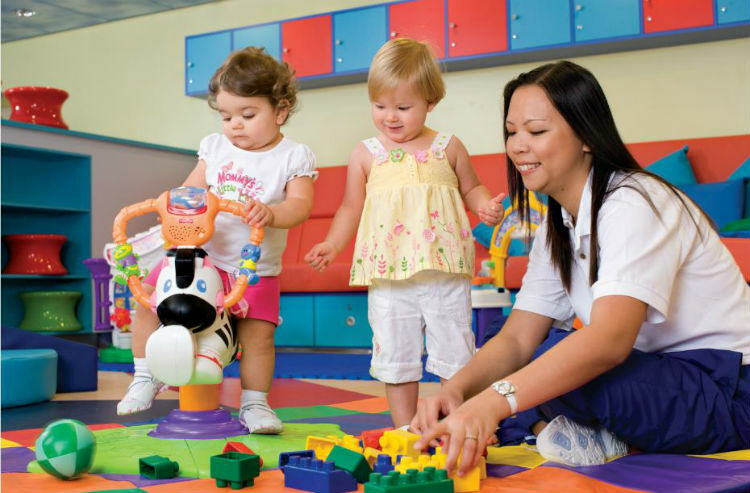 Babies and toddlers aren’t generally allowed in the kids’ clubs, but some ships have ‘stay and play’ times when under-threes can use the facilities if they are accompanied by a parent. Babysitting is, however, available for babies and toddlers with several cruise lines. One of the best offerings come from P&O Cruises who have a free-of-charge Night Nursery which is open from 6pm to 2am for children under four. Another thing to consider is the swimming situation. Maritime law requires that children must be fully toilet-trained to use cruise ship swimming pools, due to the risk of spreading illnesses. Which means that swimming nappies are a no-go! However, many cruise lines such as Royal Caribbean do have splash areas on certain ships, where toddlers are able to splash about in the shallow water whilst wearing swimming nappies. More: Which cruise line is best for babies and toddlers? For children aged four- to 11-year-olds, cruise holidays can be some of the most fun-filled, action-packed adventures they’ll ever embark upon. In general, the bigger, newer ships offer the most activities. If you’re after rock climbing, ice skating, trampolining, zip lines, go-karting, giant waterslides, bumper cars, high ropes courses, surfing and skydiving simulators, then look out for the newest ships in the fleet. These types of ships also tend to have the best kids’ clubs. Think your kids don’t like kids’ clubs? They might change their minds when the see the ranges of activities which are on offer, all accompanied by qualified and enthusiastic youth staff. Notoriously hard to please, teenagers will love the freedom that comes with a cruise holiday. In many of the teens’ clubs they can come and go as they please, and with teens-only sundecks, gaming zones, lounges and nightclubs, you might not see them for a while! If this is a worry for you, particularly on a ship with several thousand people and no mobile phone reception, it’s important that you make sure your children know exactly when and where they’re supposed to meet you and what to do if they miss the meeting time. Some cruise lines separate 12- to 14-year-olds from 15- to 17-year-olds, which teens always say suits them well. Worried that your son or daughter will spend their whole holiday playing Xbox? Be sure to select a cruise line with plenty of fun stuff to do such as cookery classes, mocktail making, basketball, football and cricket tournaments, karaoke and organised games. Cruise line pricing for families can be complicated. In some cases, children are charged the full adult fare, whilst other times the price is reduced, but it does vary quite a lot by how much. The price also depends on your cabin configuration. For example, having children as the third and fourth guests in a cabin will be much cheaper than having two cabins with only one adult in each. As a note, children must share a cabin with an adult, except in the case of interconnecting cabins. However, nobody is going to check if adults are sleeping in one cabin and the teenagers are next door, so that would be your own decision to make. 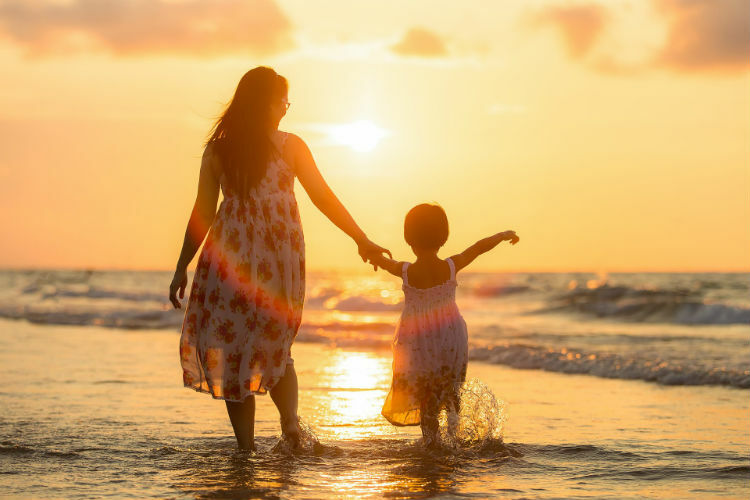 Whether your cruise holiday includes flights or not can also make a difference, as even if you get a reduced price for children on the cruise, you will still have to pay a standard airfare for any passengers requiring a seat on the plane. 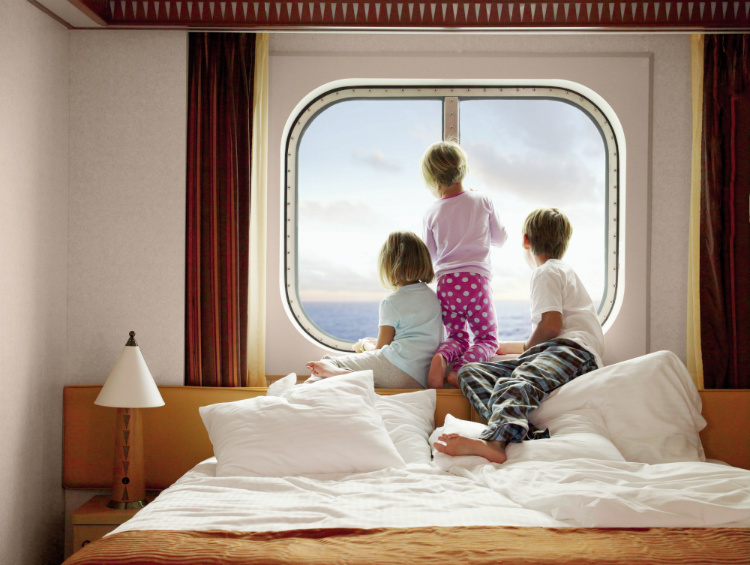 It is possible to get free child places on cruises with many family-friendly cruise lines. These are usually temporary promotions and may apply only to cruises outside of the main school holiday periods. If you’re keen to get a free child place or two on your next cruise, give our Cruise Concierge team a call on 0808 1234 118 and they’ll be able to let you know of any offers which are currently available or likely to come up. 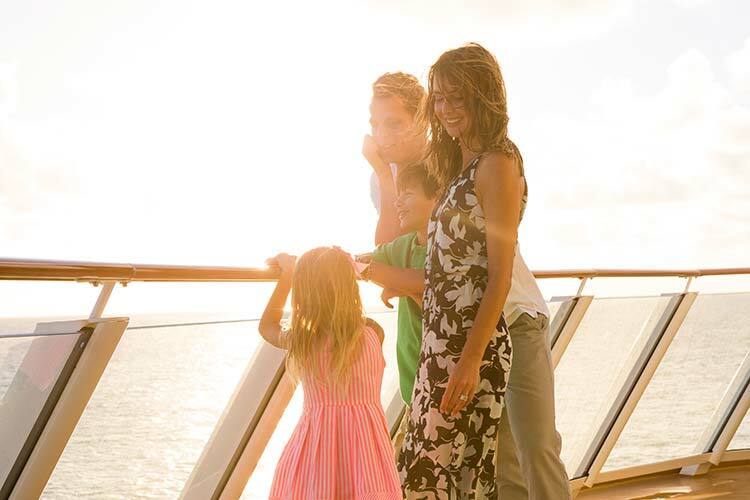 Families just love Royal Caribbean. Their new mega ships are some of the biggest in the world with so many facilities that your family won’t have time to get through them all. There’s no way anybody can get bored here, and with outstanding service and unbelievable dining options, parents will love it too. 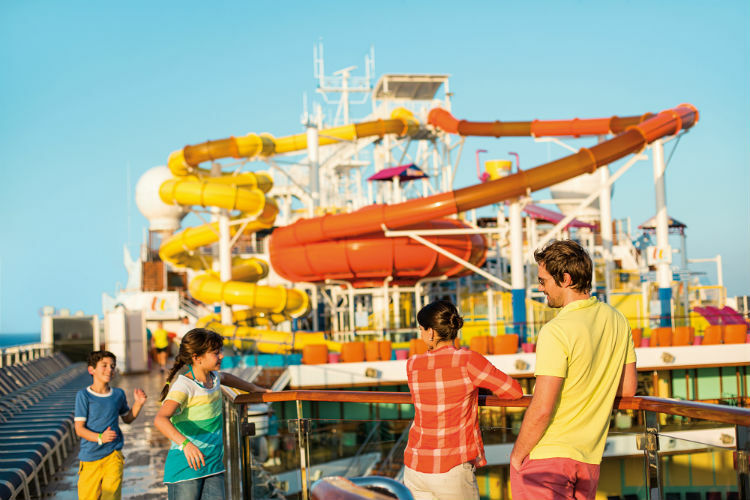 For children who are too young to enjoy the zip lines, rock climbing walls and huge water slides of Royal Caribbean et al, P&O Cruises make a perfect choice. The kids’ club caters for youngsters from the age of two, there’s a special children’s tea served each day, and the free night nursery means that parents with young tots can relax in peace in the evenings. Italian cruise line MSC Cruises is another great choice for families with children of all ages. Sailings from Southampton are popular, and with splash parks, water slides, kids’ favourites on the buffet and excellent kids’ club facilities, there’s lots for your brood to enjoy. 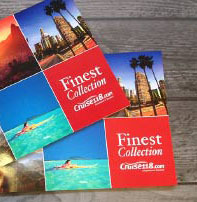 Here at Cruise118.com, we realise that cruising as a family can require a certain amount of research, particularly if it’s your first time! That’s why we have our dedicated Cruise Concierge team who are on hand to help find the perfect cruise for you. Rather than trawling the internet for hours, and possibly making booking blunders, give our team a ring on 0808 1234 118 and they will be more than happy to answer any questions you have and find the best cruise for your family, at the best price.